PROBLEMS with missing barcodes, missing font or ribbon wrinkles can be overcome with the Citizen CLP7200 thermal printer available from HandiTags . The problematic ribbon wrinkles that cause lines through barcodes making them unscannable are no longer a problem with the CLP7200. The printer’s new technology manages the ribbon control and positioning, automatically regulating the ribbon tension throughout the print run ensuring no ribbon wrinkles, slippage, smudges or print registration problems. The media and ribbon pass through the printhead perfectly, a benefit for smaller barcode tags or labels and thicker materials. The CLP7200 features a modular design approach like the other Citizen printer models and a wide range of other interfaces and accessories. 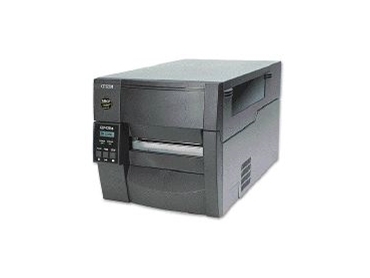 This printer has been developed with wireless and wired LAN interfaces proving beneficial for connectivity. As a standard feature the CLP7200 has a high speed USB interface suitable for Windows users. HandiTags product manager Mark Easton said he received many enquires from customers with problems with ribbon wrinkles, media slippage and ribbon smudging causing high levels of media waste and additional cost. “The rapid development of barcode scanners in the market means customers require a printer guaranteeing a top quality print resolution, whilst eliminating previously experienced ribbon issues. “HandiTags, along with Citizen, has proven the product and solutions are adaptable not only to meeting the existing needs in the market but also for any new requirements our customers may seek as technology advances."